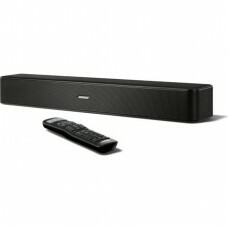 Designed to deliver the most immersive surround sound experience straight out-of-the-box. This 5.1 speaker system is tuned to the highest standards to achieve THX Certification as well as designed to decode Dolby Digital and DTS encoded soundtracks giving you a premium audio experience. 1000 Watts peak/500 Watts RMS power delivers rich audio and thunderous bass. Enjoy an audio experience that delivers every detail from the roar of the crowd to the footsteps right behind you. Sound that you can truly hear and feel. Supports multiple inputs simultaneously. Connect up to six compatible devices via 3.5mm, RCA, six-channel direct, digital coaxial and optical inputs. Choose the audio input via the control console or remote control. 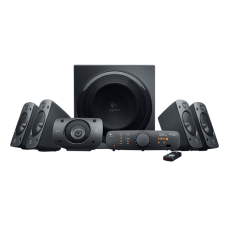 Independently adjust the volume levels of each satellite speaker as well as the subwoofer and access power and mute all from the control panel or with the wireless remote control. 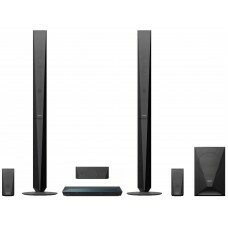 Define your listening experience by selecting either 2.1, 4.1 or 3D surround sound.